… is not the same! Well, ok, it is. Kinda. 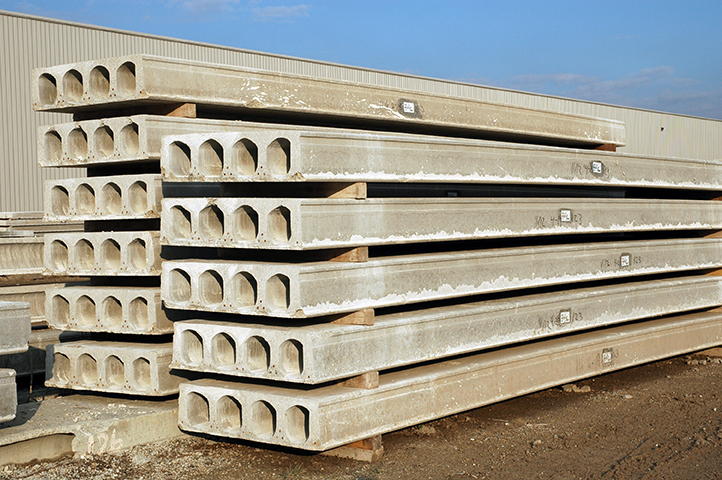 When looking at precast hollowcore concrete, you can across quite a few product/brand/trade names. Elematic, Flexicore, Spancrete, Ultra-Span, Dynaspan, etc. It can be hard to derive the difference between them, or to decide it’s worth to parse out these differences, especially when it comes to specifying. Sometimes, a given name is repeated, even while crossing wide gaps in project size, location, and time period. To be fair, all of these trade names do refer to a common construction product: precast, hollowcore, concrete planks (or slabs). The value in hollowcore slabs is their premium span-to-thickness ratio in the spaces underneath them that they provide. By using hollowcore planks, one can eliminate the unsightly and obtrusive combination of columns (obstructing views and lowering space flexibility) and deep beams (lowering ceiling heights/headroom). The value per square foot of this type of product is pretty unbelievable when you compare the resulting living space. These planks come in a nominal width (depending on manufacturer) and are designed, fabricated, and cut to length based on project needs. Because of their designed-to-order and built-to-order nature, you can be assured that the installation and life span of each of these products is the best you can get. That said, the design and installation requirements of each brand can and will vary; it’s the details that can get ya here. Sometimes a standing name can and does get carried over into multiple projects; it pays to review the project to ensure the correct brand is being referenced. There are many form factors of hollowcore concrete. Heck, even we at Mid-States have changed form factors over the years. So what does this mean for you? It pays to review either the project or the master precast specifications to make sure they are in line with the current manufacturing market and the resulting construction requirements for this product. While even though you may still question the value of discerning each plank type, there’s still one piece missing from all of this, likely the most important piece of all, the service that comes with the product. Each precast provider has their own way in taking you through the process. We would love the opportunity to show you ours (more on this in a future post so stay tuned). Confused? It’s OK. It can and does get that way quickly. Really, your best bet is to give us a call to verify. We’d be happy to review your current specs and provide our feedback. If you have master specs that haven’t been updated in a while, we can also help with those. While we’d like to sell you our planks, we’d love to simply be your go-to source for information and pricing. Even if we can’t help you, we’d be happy to refer you to someone who can. Give us a call anytime at 800.236.1072.